Educator calls for updated and more extensive curriculum for radiographers. Salvador Pedraza Gutiérrez, Director of the Diagnostic Imaging Institute. Spain has one of the shortest curricula in the world for radiographers: two years. This is half the time considered necessary worldwide. But advanced imaging and the continuously rising demand for imaging studies require properly trained imaging graduates, and universities have a role to play in the debate. While the Spanish model was correct 40 years ago, advances in CT and MR technology have made it completely obsolete. It is not enough and the curriculum needs to be updated. We need to have properly trained graduates in medical imaging. All other countries have a three or four-year education scheme. The European Federation of Radiographers Societies is pushing a bachelor’s level. The situation in Spain does not make any sense. Advanced imaging technologies require properly trained imaging graduates. For the past 20 years, those who had a good relationship with their radiology colleagues improved their knowledge and skills in their daily practice. But these were exceptions and this was never meant to last. Some radiographers went abroad, for instance to Coimbra, Portugal, for further education. The problem is that when they want to validate their degree in Spain, it is not possible. The Education Ministry cannot recognize their diploma because Spain has no such university degree. Besides, graduates in medical imaging are not listed as healthcare professionals. So those who invested extra time and efforts cannot obtain recognition, and we cannot profit from this education in return. The Spanish Health Ministry has to understand that it is important to include a new profession in their list; and Spanish universities must obtain approbation so that these graduates can work in a public hospital. If we do both, we could have medical imaging graduates with a university level within four to five years. Right now, we are educating technicians who cannot work abroad. This goes against work flexibility and circulation in the EU. Could other medics do the job? We need technicians who can perform CT and MR scans with a good knowledge of technical issues, and who can improve parameters, avoid artifacts, and perform advanced imaging. We also increasingly rely on post-processing imaging. Radiographers already carry out standard ultrasound examinations on their own. This has been happening every day for the past 30 years in medical practice. Imaging complexity and the increased need for advanced studies makes it compulsory to have adequately trained medical imaging graduates. In the UK, radiographers write reports. It is a specific scenario. I am not sure that solution can be applied to other countries. I feel more comfortable with sonographers doing the examination and radiologists then writing the report. The UK also has a cruel lack of radiologists. Is there a similar shortage here? Yes. Most hospitals outside big cities have hiring problems. Young radiologists want to work in hospitals with advanced techniques and the possibility to do everything. We need to keep equity in our healthcare system. Whether you live in the city or countryside, you are entitled to receive proper healthcare. 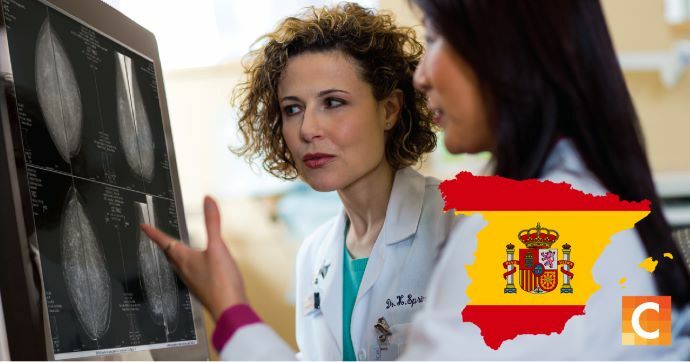 There are 5,000 radiologists in Spain, but many of us will retire in the next 10 years. The physician workforce is expected to drop by 20 percent. So today’s problem will be worse tomorrow. We need strategies to maintain quality healthcare; and one of them is to have properly trained medical imaging graduates. The administration does not react fast enough to changes. In this case, it is easy. Spain must realize that other European countries have agreed to train medical imaging graduates in three or four years, so they should just copy this model. The University of Barcelona has just launched a medical imaging degree, and the radiology society is supporting this initiative, along with the national societies of nuclear medicine and cardiology. This initiative could be the first step in convincing the Health Ministry to include medical imaging specialist in the list of healthcare professions. The EU has expressed its support for this proposal. Having an official statement from Brussels on radiographers’ education also would help. Salvador Pedraza Gutiérrez is Director of the Diagnostic Imaging Institute (IDI) in the Radiology and Nuclear Medicine Department at Dr. Josep Trueta Hospital and Santa Caterina Hospital in Girona, Spain. 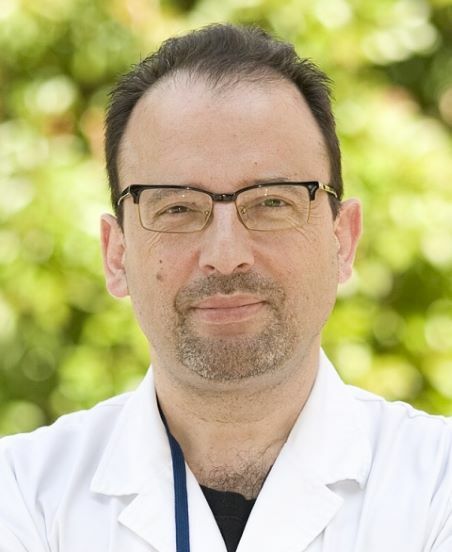 He has been Associate Professor of Radiology at the University of Girona (UDG) since 2006; and he directs the School of Diagnostic Imaging Technicians in Girona. Editor’s note: This article was originally published in heathcare-in-europe.com byMelisande Rouger. It is reposted here with the permission of the author, Salvador Pedraza Gutiérrez, and the publication. Read the blog by the Chief Executive Officer of The Society and College of Radiographers (SoR) on how radiologists are sharing more reporting responsibilities with radiographers in the UK.